James Brophy’s second half header secured Leyton Orient with all three points on the road at the Swansway Chester Stadium. Marcus Bignot kept an unchanged side from Saturday’s 3-1 victory over Eastleigh last time out and rewarded the side for their outstanding display against the Spitfire. The visitors were dealt a blow during the warm up as ex-Chester defender George Elokobi picked up a knock, and saw himself replaced by Dan Happe, with Lamar Reynolds taking the final space on the O’s bench. And Justin Edinburgh’s side found themselves flying out of the blocks in the early stages of the game. 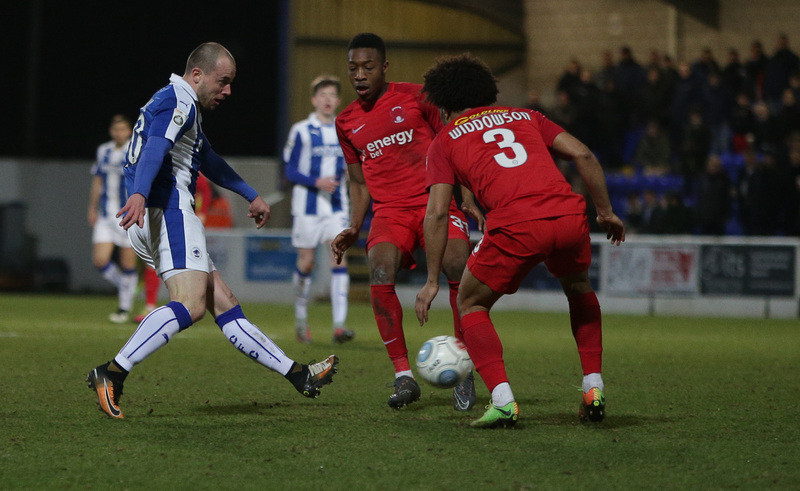 Josh Koroma charged forwards before he blasted his 20-yard strike well over the crossbar, and then struck a dipping volley which Blues keeper Sam Hornby could collect with ease. Nonetheless, the Blues responded with several chances of their own, in a rather open encounter during the first half. Ross Hannah directed his free kick inches over the crossbar after the 31-year-old attempted to catch Dean Brill off his line. Blues captain Ryan Astles then failed to connect to a spilled ball from Brill, after the former Luton keeper dropped an Andy Halls cross, with the O’s doing very well to clear away from danger and win a free kick. Koroma proved a nuisance throughout the evening, and nearly turned provider for the visitors to edge ahead as the first half drew to a conclusion. The Orient youth-team graduate charged forward into acres of space, before cutting inside to flash his cross across the face of goal. James Brophy began to look a threat throughout the second half and put the O’s ahead just after the hour mark. The 23-year-old made the move to Brisbane Road from Swindon Town in January, and the young winger proved his worth with a diving header beyond Hornby from within the box. Chester FC: Hornby, Halls, Astles, Hobson, Anderson (Waters 78), Vose, Crawford, Roberts, Mahon (Akintunde 78), Archer (White 66), Hannah. Subs not used: Firth, Dawson.